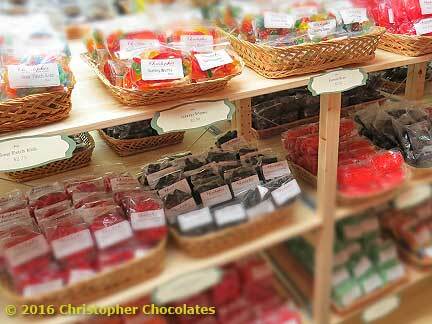 Christopher Chocolates - The Mainline Confectioner online. Philadelphia's “Main” Line has long been known for accumulating much of the areas (and the country's) best of the best. Welcome to Philadelphia’s Main Line Candy Shop. Think of us as your Confectioner on Philadelphia's Historic and Prestigious Main Line. At Christopher Chocolates we could not be more proud to be a part of such a heritage. Since 1986 we've been crafting and assembling fine and delicious chocolates and other confections to the delight of young and old alike. As Candy Shop's go, we honor the traditional role we play in brightening up holidays, celebrations and even “any day” with a little sweetness. Come on in and see just what we have in store for you. 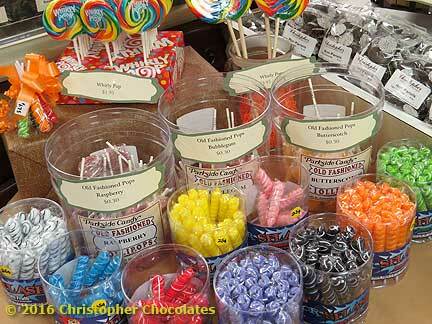 Christopher has arranged for you a premium selection of incredible sweets. 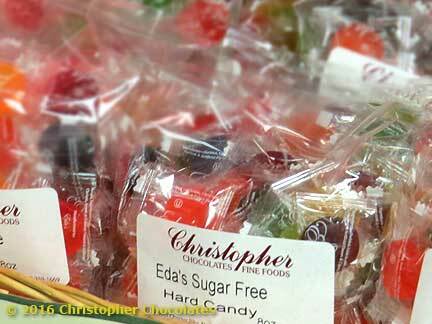 Hard candies are a delight to savor in the eye, mouth and mind. We pride ourselves in an assortment that will add a special touch to any day and even more to the special occasions in your life. Be bedazzled. We proudly make our own confections in our own nearby shop under close supervision with a legacy of fussiness focused on the end results. Let us show you why Christophers Chocolates are better, you'll taste, see, smell and appreciate the difference immediately and savor it long after. Nothing makes us slow down to savor the sweetness of life more than a nice sweet chew and do we have the chew for you! Gummy Bears, Gummy Worms, Swedish Fish, Turkish Taffy, Licorice, Fruit Slices, Spearmint Leaves and more in all types of shapes and sizes. A dietary condition doesn't mean you need to give up treats entirely. 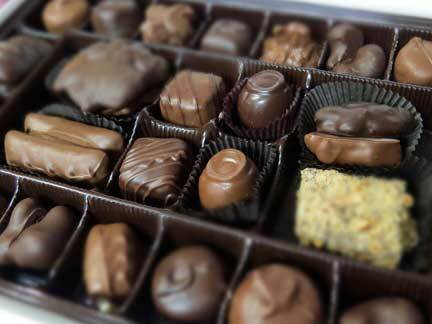 Our sugar-free and low sugar chocolates and candies are great as a treat or gift for anyone with such a condition.